If you are presenting a PowerPoint presentation before potential investors, it’s important to cater for each and every minor aspect of your presentation. The presentation must be precise, to the point and should answer possible questions regarding the venture in question; as well as be clear enough to address any possible doubts which might arise in the mind of potential investors. 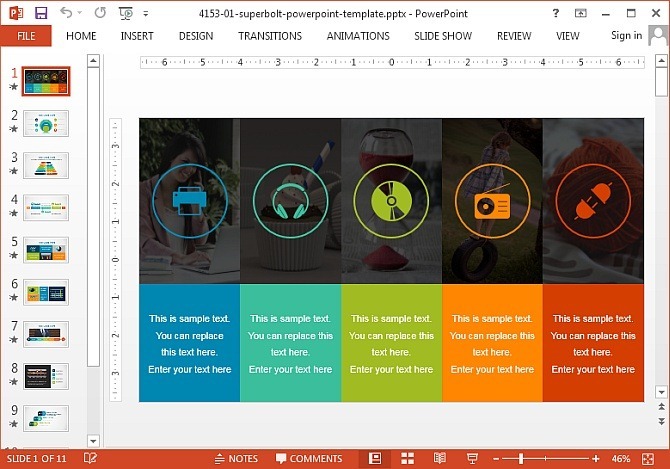 Here is a step by step guide for making a PowerPoint Presentation for Investors. This is not only important but the standard method for starting such a presentation. Your presentation should include the title highlighting your purpose for the presentation, as well as introductory details such as the company name, location, the sector in which your business is engaged in, etc. You can also follow up the title slide with an introduction for your team, highlighting the CEO, Company Directors and other important individuals. It is worth pointing out that the aforementioned should not be too lengthy and should be concise enough to tell your investors what your business is about. It is possible that you might be a small business looking for an angel investor, even in that case you can highlight your primary team members. 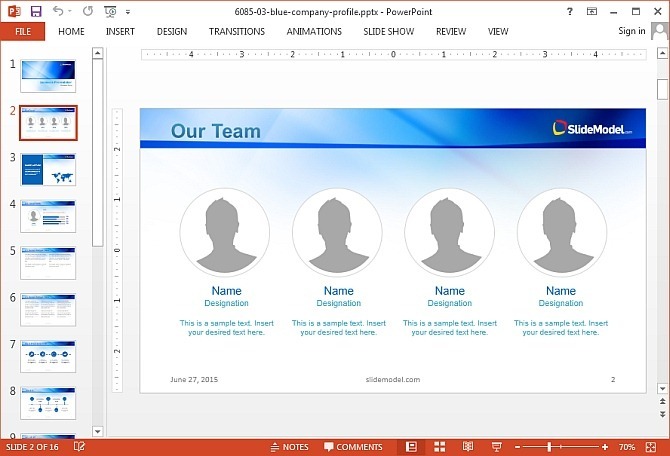 For making a title and introductory slide or a sales proposal, you can use the following professionally crafted Company PowerPoint Templates. Once you are done with the introduction, it’s better to cut to the chase and begin highlighting the problem to build a premise as to how your services can be the solution. When highlighting the problem you must have adequate quantitative data, along with convincing qualitative information, e.g. common problems faced by consumers. This can include problems that even the investors might relate to, leading to a more convincing case. For example, if you are providing software solutions you can highlight the common annoyances end users have to face, related to waste of time due to lags and bugs, extra expenses due to use of costly solutions, lack of tracking capabilities, etc. 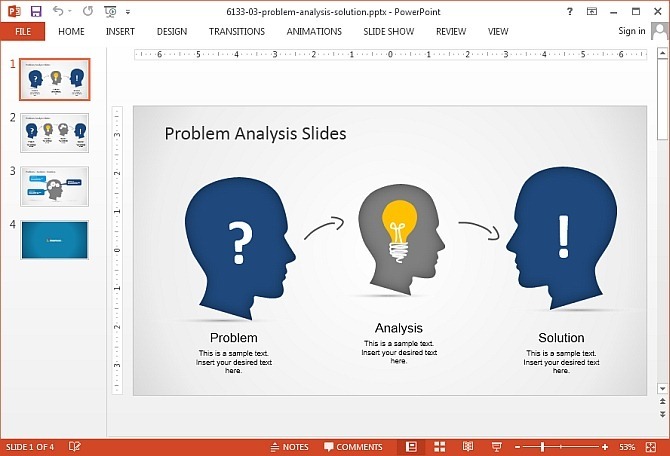 If you need a good template to make slides which depict problem analysis and solutions, then see our Problem Analysis PowerPoint Templates. This is the most important part of your presentation. You must ensure that you keep things brief but at the same time are able to present at least an overview of how your business model works and why your venture is the most suitable solution for the specified market niche. To keep things simple you can present a video presentation with relevant details regarding your business. This video presentation can be a short 3-5 minutes long video with a summary of how your provided solution works and how can it be profitable. 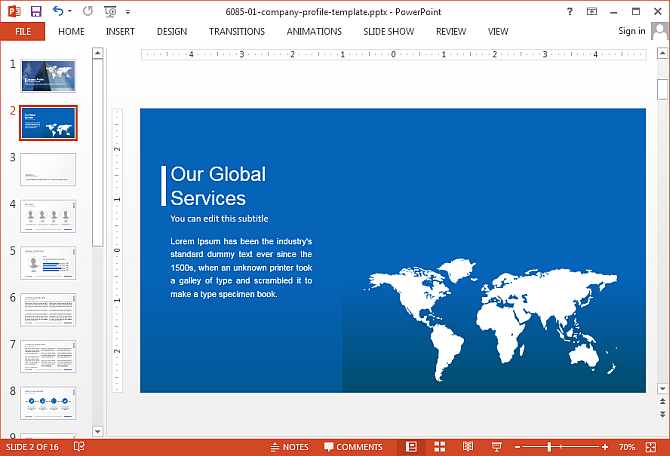 To present these details in slide format you can use our Business PowerPoint Templates. While it can be a daunting task to make your competitors look inadequate, especially if you are a small business, it might not be a bad idea to present a brief competitor analysis to compare your business model with rivals. For example, if you are a small business which caters for a specific market niche, you might be able to provide custom solutions to clients which your competitors might not be doing. Emphasizing on such strengths can help you build a strong case before your competitors. 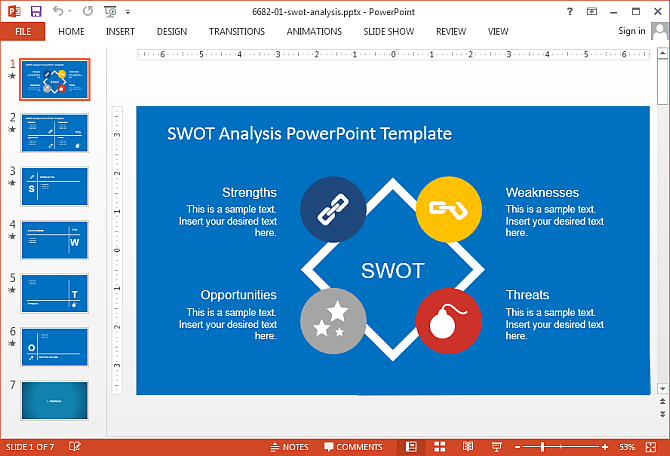 There are a variety of Competitor Analysis PowerPoint Templates that you can use for making these slides, ranging from SWOT Analysis to Timeline, Roadmap and Business Model templates. This is one area that many people might miss out on when pitching their investors. Unless you can show a workable financial model, the chances are you will fail to convince your investor’s. The nitty gritty of your financial model should be incorporated in the form of statistics, charts and tables to give an overview of how you intend to put the investors money to good use. 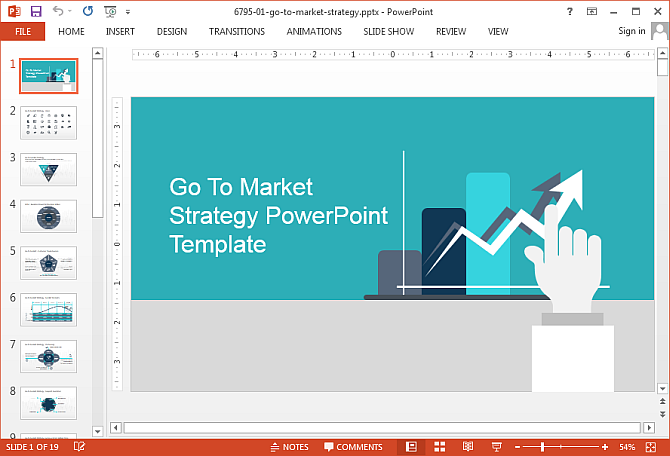 If you are looking for a suitable template to make financial projections, then the Market Strategy PowerPoint Template might just be what you need. If this is not your first venture, then your business would have a clientele, past accomplishments for closed projects, as well as ongoing projects. It’s best to close on a positive note by adding testimonials from satisfied clients and showcasing your past and current work. 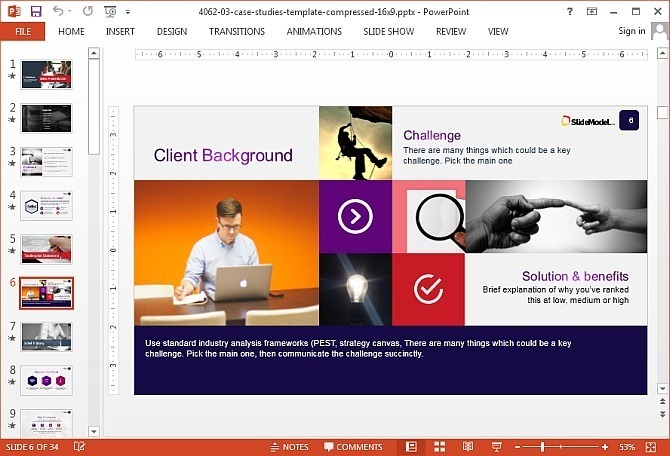 The Business Case Study PowerPoint Template provides a comprehensive range of sample slides which can enable creating not only case studies but also your client portfolio, accomplishments of your business and more. 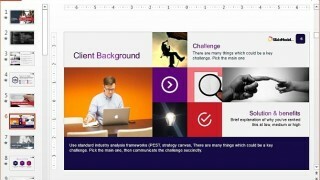 To download from our more than 7000 Professional PowerPoint Templates, see our plans and pricing.